This article is for users that already have a Google Ads account. If you don't have an account, please contact Google or create one. Integrating with Google Ads is easy. Head over to integrations and click Connect. up, this can take a few seconds. Lastly select the advertiser account you want to send your audience to. Once this is done you are able to send your segments to Adwords. Please note: Segments are being sent based on collected email addresses. 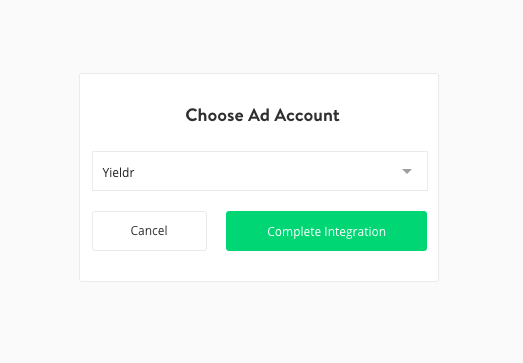 Since Yieldr doesn't collect email addresses for every user in every step of the funnel the amount of users in the Google Ads Segment can differ from the amount of users you see in the Analytics section of the Yieldr DI platform. Google Ads takes up to 6 hours to build the audience send by Yieldr Demand Intelligence. 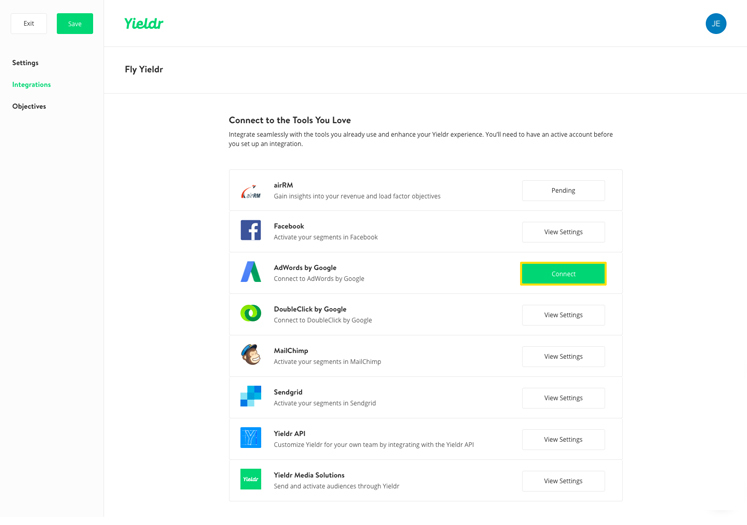 Yieldr does not support Google Ads manager accounts.